We’d been in the car for seven hours by this point, driving through the hinterland of Perth, along highways and scenic tourist trails, through the centre of towns, dwindling in size the further north we went. It had been a long trip, but not an unpleasant one, at all. Neither of us had been this far out of Perth and the trail north was a very pretty one, indeed. For the most part, we were driving along the west coast, scrublands and paddocks running alongside the car, occasionally peppered with livestock. At times, the endless blue of the Indian Ocean would swing into view, only to disappear out of sight a few breaths later. When not driving, I kept my eyes on the scrublands, hoping to spot an emu. This far away from the city, it surely was a guarantee that at least one of these strange, flightless birds, emblematic of Australia, would make an appearance. 595 kilometres. That’s the distance from Perth, capital of the state of Western Australia and geographically, the most isolated city of its size in the world, to the sovereign state of The Principality of Hutt River. The official flag of the Principality of Hutt River. This landlocked micronation an hour from the sea, feels like it’s located in the middle of nowhere. A long, dusty road leads in and out, stretching a half an hour drive in either direction. 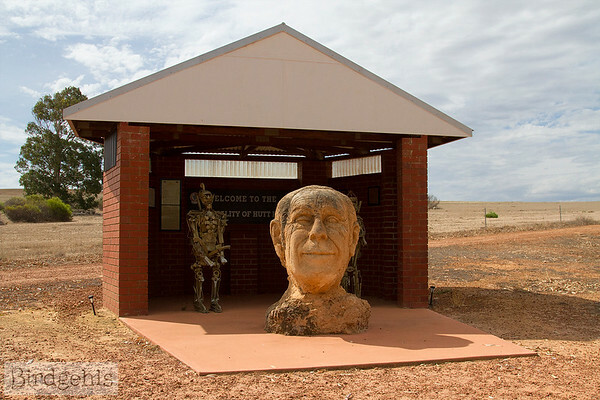 It takes a good, solid commitment of time and effort to get to the Principality of Hutt River, but it’s well worth it. Personally, it is somewhere I’ve wanted to visit since I first learned of it, despite the consternation of most Western Australians I know. When I told them of my plans, they were confused as to why I didn’t plan to visit Margaret River instead. Margaret River could wait. 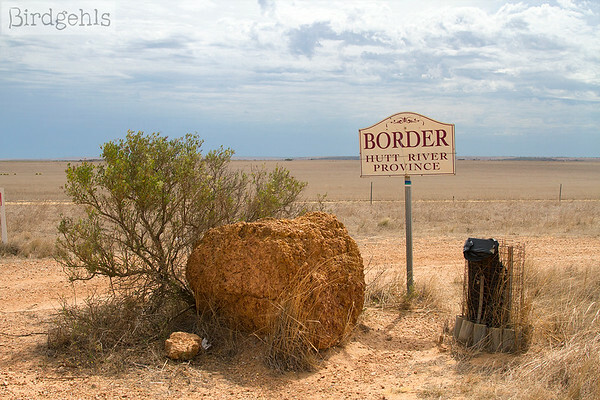 I resolved that the next time I stepped foot in WA, I was heading to the Principality of Hutt River. And now here we were, about to cross the border and head into the sovereign state. As an aside, road trips in Australia are amazing and if you get the chance to go on one, jump on it. The information bay features a large bust of Prince Leonard’s head. 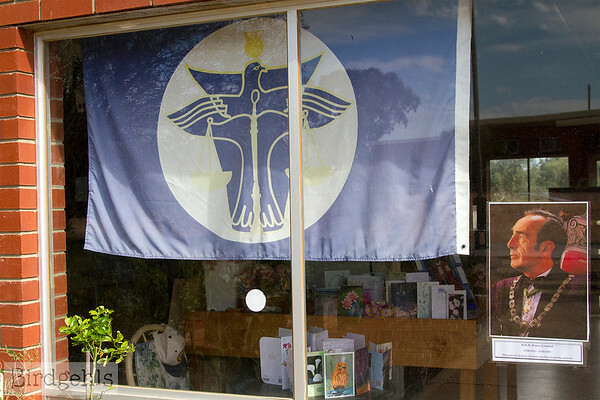 So how did an Independent Sovereign State come to exist in rural Western Australia? Well, the story behind Hutt River is very interesting indeed. It all started with a dispute over wheat quotas. In 1969, the Casley family had 9,900 hectares of wheat ready to harvest, when quotas were issues by the Western Australian government, which would allow them to sell only 99 acres. This would have lead to severe financial losses. Alarmingly, the bill was to be passed with no right of appeal, nor any compensation allocated to anyone who suffered losses as a result. The Casleys lodged a protest with the Governor of Western Australia Sir Douglas Kendrew, who replied saying no revision of the quota would be allowed. As he acts as the Queen’s representative, this made Her Majesty technically liable under the rules of Tort law, something I know nothing about but sounds awful according to all my friends who studied Law at University. Leonard Casley counter-served by lodging a claim under Tort Law for $52 million, in the hope that it would force a revision of the wheat quota. It didn’t. The WA government instead introduced a bill into Parliament to “resume” their rural lands under compulsory acquisition. The Casleys were alarmed and the family came together at a meeting, to discuss what to do next. This British Law allowed them to secede and declare their independence from the Commonwealth of Australia, forming their own sovereign state, remaining loyal to The Queen. 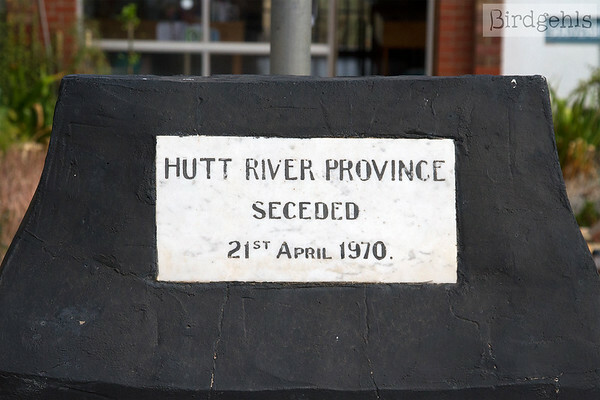 And so, on April 21st 1970, a formal secession document was served to members of state and federal government and the farm became known as the Hutt River Province, with patriarch Leonard Casley serving as The Administrator. 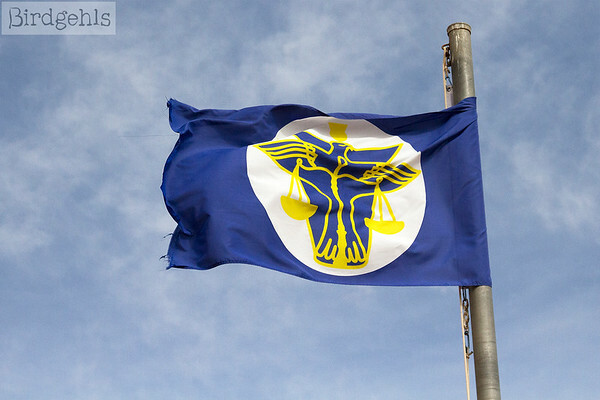 A board of government was formed within the province and a flag selected. The WA government decided that they needed the Commonwealth to get involved, but the then Governor-General of Australia, Sir Paul Hasluck determined that it would be unconstitutional for the Commonwealth to intervene in the secession. In correspondence with the Governor-General’s office, Leonard Casley was addressed as the “Administrator of the Hutt River Province”, a recognition which as it turns out, is binding on all courts. A mistake that clearly worked in the Casley’s favour. To further strengthen their independence, the Casley family turned to another Commonwealth law, which stated that anyone assisting a defacto Prince attain his office cannot be charged with treason, yet anyone who interfered with his duties could be charged with treason. 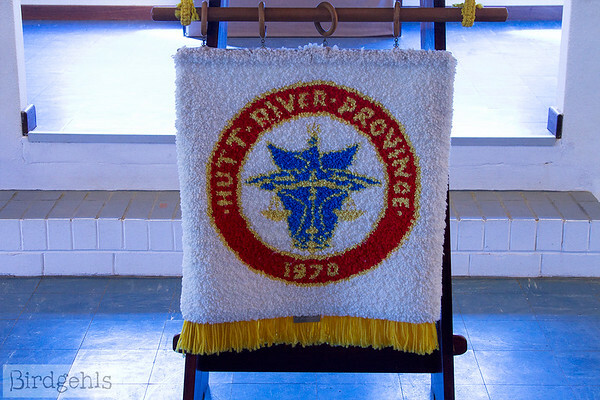 So, the Hutt River Province became a Principality and as Administrator, Leonard Casley became a prince – formally H.R.H. Prince Leonard George Casley. Apparently under Australian Law, the government had two years to respond to this declaration. As they have steadfastly refused to accept or acknowledge this new government or land-locked country, they failed to do so within this timeframe, further cementing the status of the province. Despite the principality’s de facto status, there have been ongoing issues over tax. When the Australian Tax Office demanded payments, Hutt River officially declared war on Australia. The Government ignored this declaration, leaving the principality the victor in this instance. 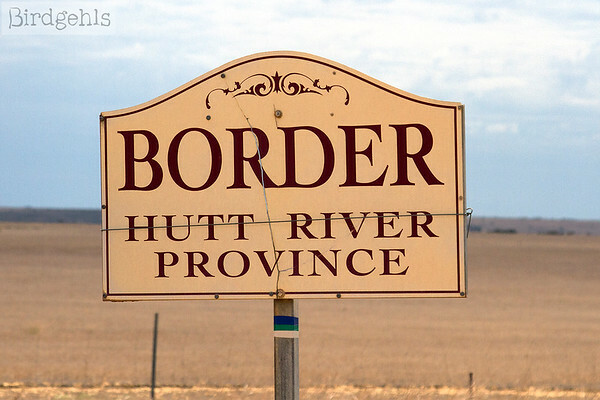 Through this, the residents of Hutt River are no longer classed as Australian citizens and pay no tax to the Australian Government. They travel on passports issued by the Hutt River Government and have their own currency and postage stamps, which after some disputes, are now accepted and mailed by Australia Post (they were apparently diverted to Canada for awhile – it’s all sorted now!). You might be wondering how Hutt River has managed to survive for so long, without interference from the Australian government. It all comes down to legal uncertainty, as the state of Western Australia was never formally declared as British Territory. Close-up of the stone bust. Prince Leonard abdicated in early 2017 at the age of 92, due to his ailing health. The baton was passed onto his son Prince Graeme, then 59. Sadly, Prince Leonard died just a few weeks before we were due to visit the Principality. He was 93 and none could say he hadn’t lived a very interesting life indeed. Our trip north turned into a pilgrimage, to learn more about the principality and the man behind it. 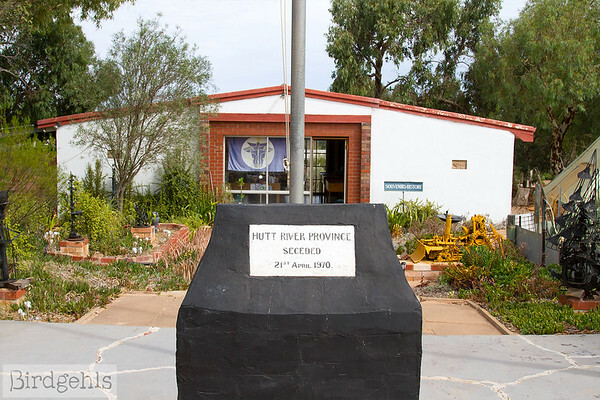 We arrived at the Principality of Hutt River at around 2:30pm, having left Perth at seven that morning. The trek had been fairly easy, especially with two people sharing the driving. As we pulled into the principality, Prince Graeme stepped out to meet us at the steps of the Government Office, which also serves as the local Post Office. We greeted him and offered our condolences for the passing of his father. He thanked us and proceeded to show us around the Government Office. Prince Leonard and the flag. This room is crammed full of glass cabinets, displaying items such as Prince Leonard’s mineral and shell collections. The self-taught physicist had an interest in the natural world and used mathematics to create theories intent on solving many earth-bound problems, as we’d later find out. 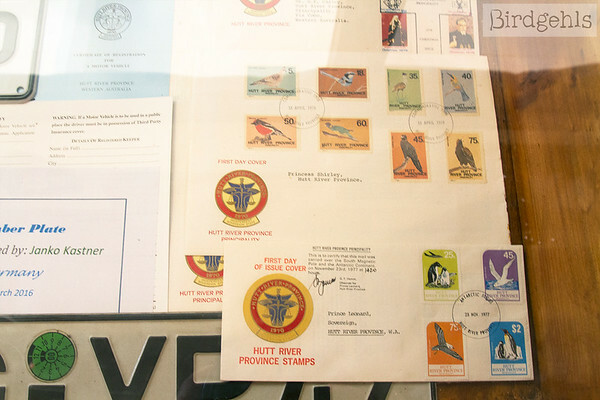 Framed art covers the walls, mostly in the form of past postage stamps of the principality – my favourite was the collection of birds that are endemic to WA, which Prince Graeme said had been painted by his sister, an artist – Duchess Sherryl. 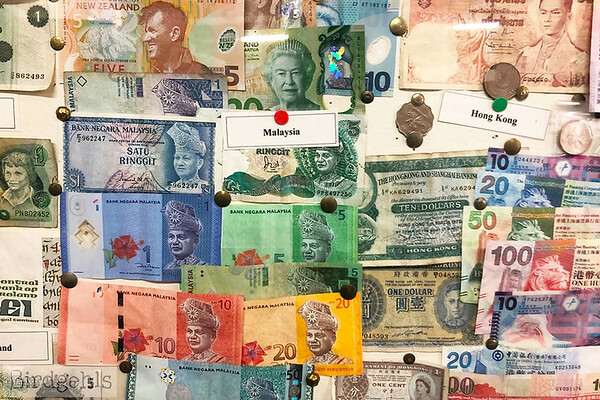 Two large sections of the wall are filled with currencies from just about every country in the world. I spotted some I recognised – the 1£ note of Jersey of the Channel Islands, Northern Irish currency and the brightly coloured notes of Costa Rica. Currency from around the world. 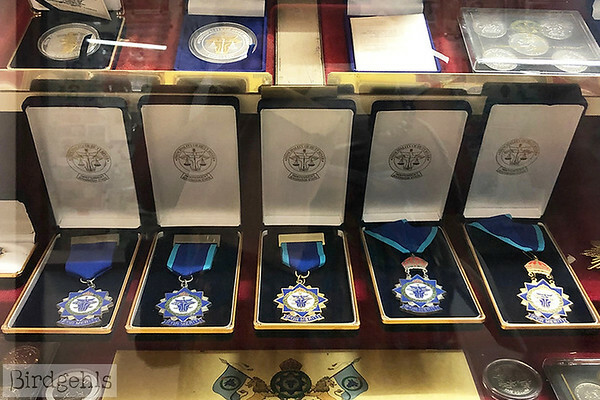 The medals given to those who become knights and dames of the province. Next to the shelves stood a cabinet crammed full of medals. Prince Graeme told us that it is possible to receive a Knight or Damehood from the principality – you send in a form, telling them of your good deeds. If selected, your name is read out during the yearly ceremony honouring the principality’s secession on the 21st April (you can of course attend in person, to be officially knighted by Prince Graeme). Prince Graeme showed us the principality’s own brightly coloured currency, adorned with Prince Leonard’s head and the postage stamps that are now recognised by Australia Post, after many fights in court. He also had a copy of the Principality’s own passport, which as non-residents, they can use to travel beyond Australian borders. He then examined our passports, before stamping us into his nation. We had officially made it into the Principality of Hutt River. After receiving your passport stamp, you’re free to explore the town of Nain in the Principality. From the Government Office, we headed onto the Chapel. The Principality is non-denominational, meaning it doesn’t recognise any one religion. The Casleys were raised Protestant and you can see that in the paintings that hang in the chapel, many of which are painted by Australian artist Frank Pash, who later became an Earl of the Principality. One of the Duchess’ paintings. Others are painted by Duchess Sherryl. The Chapel is outfitted with blue glass, which is thought to help protect the building somewhat from the relentless heat of the sun, in this part of the land. 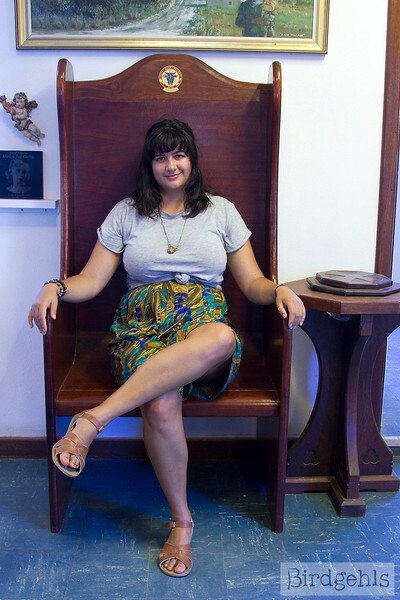 Sitting in the “Princess” chair. The letter from the tax office that all Australian citizens long to receive. 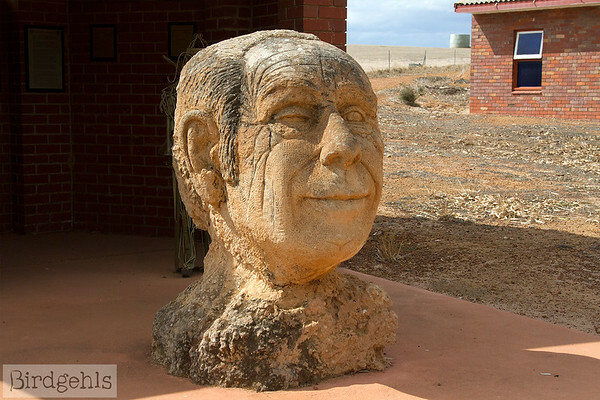 From there, we headed to the information bay on the entry, featuring a stone-carved bust of Leonard’s head. 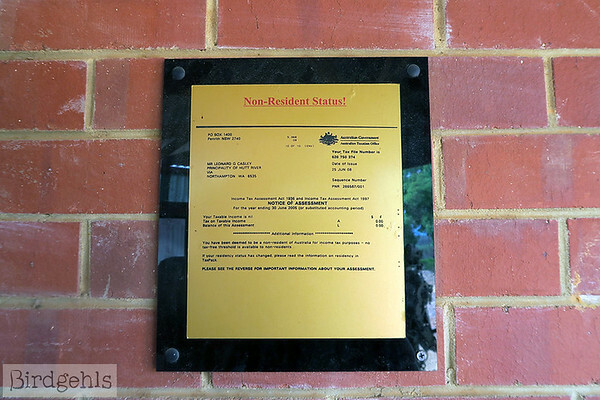 I was particularly interested in the letters from the ATO, which had been turned into gold-plated plaques – they stated that as a non-resident, the Casley’s owed the tax office $0. Stamps of the sovereign state adorned with local birds (and some seabirds!). It was then on to the Arcade, which houses souvenirs and artefacts from around the world. People bring these when they visit the principality, or post them to the sovereign state. The place is crammed full of artefacts. There are postcards, identification cards, old passports, photos, printed emails, everything you can imagine. 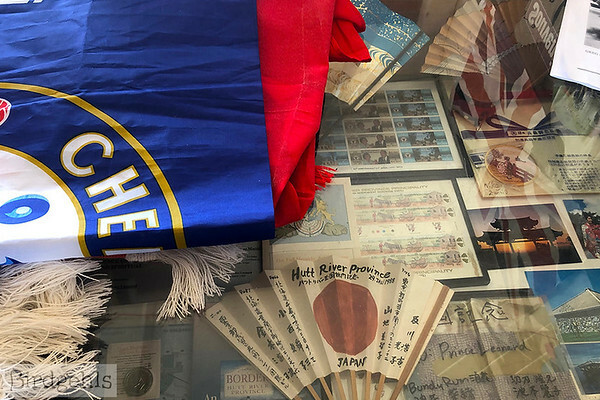 Memorabilia from around the world. The National Anthem plays softly from a telly in the corner. Written by Sir Keith Kerwin K.C.R.O. and performed by Sir Jon English, there’s an interesting story behind the anthem, which you can read about here. 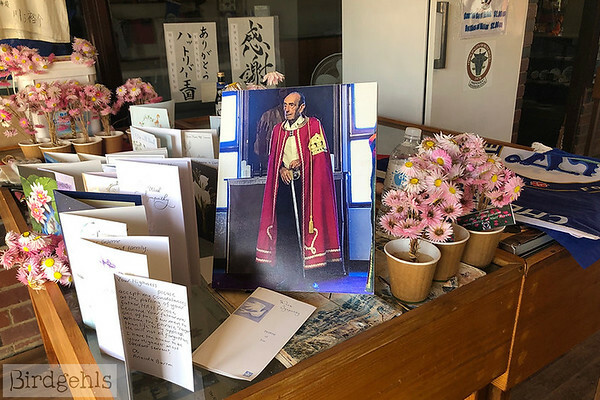 A memorial to Prince Leonard has also been put in place, with a picture of the prince outfitted in royal regalia, surrounded by flowers picked from the Principality’s gardens and cards of condolences. Flowers left for Prince Leonard. 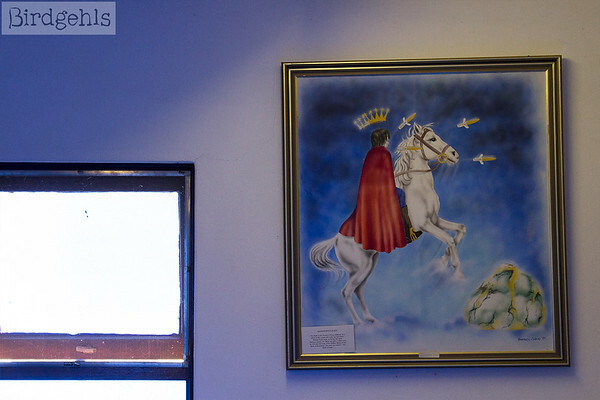 Our last port of call is Princess Shirley’s Sacred Educational Shrine. Princess Shirley or the Rose of Sharon, the wife of Prince Leonard, passed away in 2013. 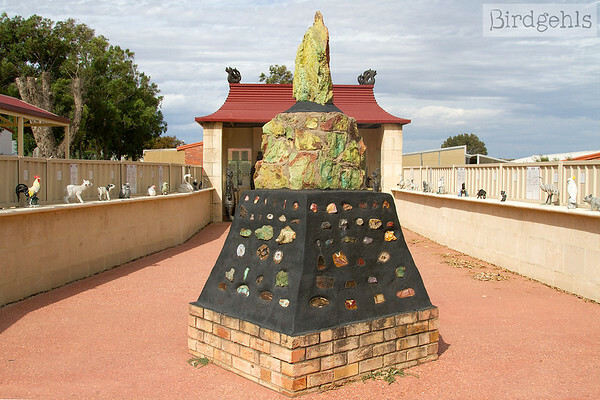 She and Leonard had been married for over 60 years and he built this shrine in her honour. The Shrine too features a dedication to the late Sir Martin Louey, who was a good friend of Prince Leonard’s. Princess Shirley’s Sacred Educational Shrine. Some of the statues with their Nature Spirit Codes. 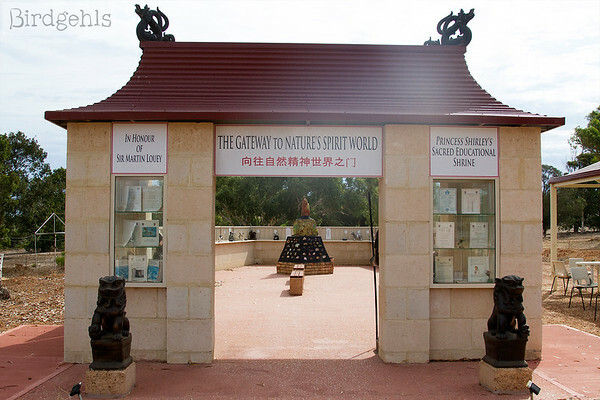 Also known as the ‘Gateway to Natures Spirit World’, the shrine features notes on physics of subjects of a religious nature, as well as equations for the universe and creation. 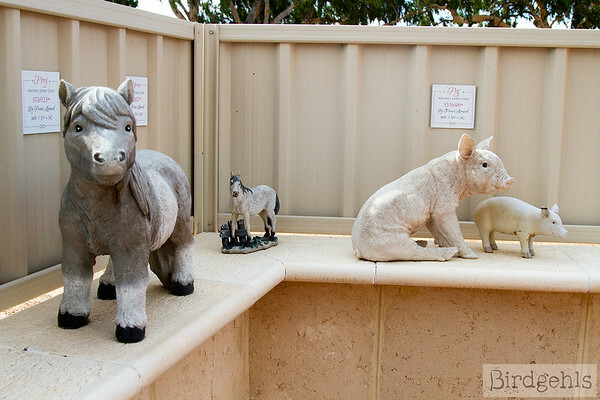 There are statues of certain animals with their accompanying Nature Spirit Codes. In the centre stands the “The Stone of Light”, which you can read about here. It was around four o’clock by the time we had finished exploring, which is when the Principality closes to any visitors who aren’t staying on site. We went back to the Government Office to buy a few souvenirs (particularly postcards) and say goodbye to Prince Graeme. We then drove out of the Principality and back onto Australian soil. 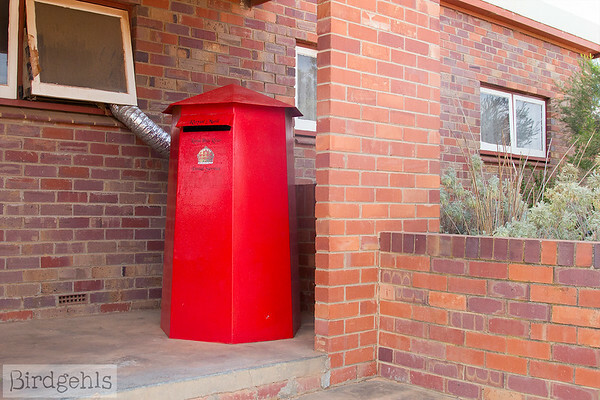 The official postbox of the Principality. You can buy stamps from the office and pop them on postcards to send home. 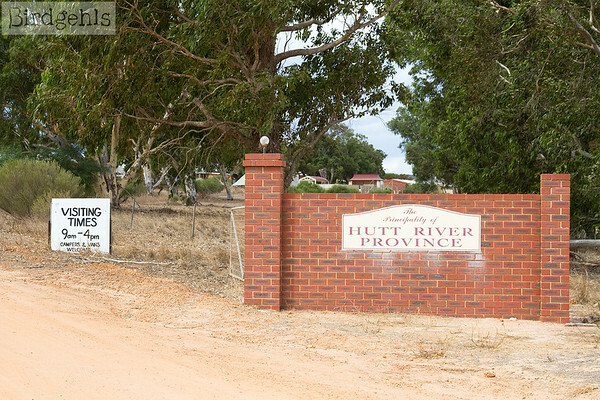 The Principality of Hutt River is almost 600km’s from Perth, or around an hour and a half from the regional city of Geraldton. The best and only way to get there really, is by car. If needed, you can check out rental car prices here. No matter what angle you head to Hutt River from, you’re going to have to do some driving along dirt roads. As in, dusty, rock strewn, red dirt roads. If you’re not used to driving in these conditions, navigate along them carefully and watch out for the road trains (giant trucks) that may thunder past – they could fling out rocks, which could seriously damage your windshield. The road in and out of the principality looks like this. I’d thoroughly recommend being very wary of how much petrol is in your tank before heading onto the dirt road which leads to the principality. If you’re heading north from Perth, fuel up at Northampton (which is kinda fun to stop in as it’s oddly filled with painted statues of sheep). 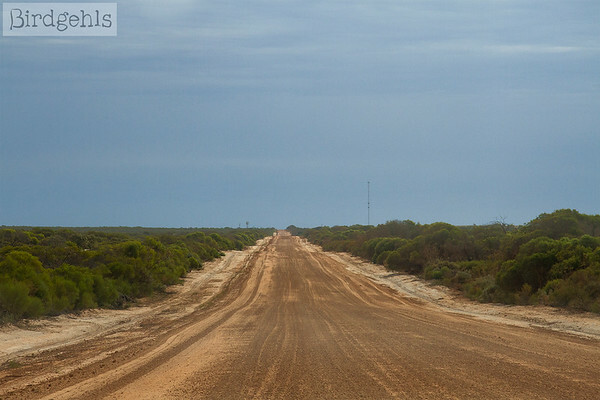 Kalbarri is a good bet for fuel for those heading south. Don’t forget snacks either! I’d recommend bringing an esky full of food on your road trip if possible and a few bottles of water. A S’well will keep your water nice and cool. If you’re travelling by campervan, you can stay on-site at the Principality – more information can be found here. 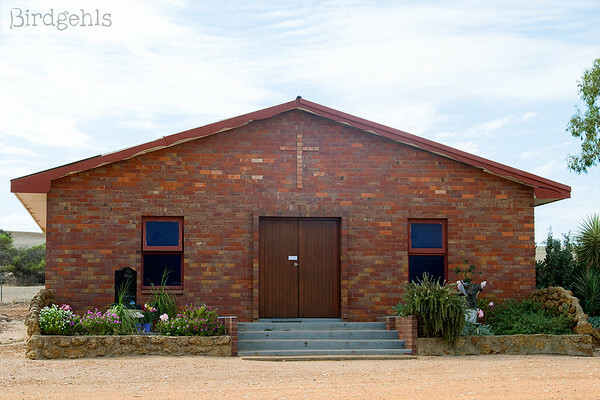 We stayed in the coastal town of Kalbarri, around an hour’s drive north of the Principality. It is a lovely spot surrounded by a national park and overlooking the Indian Ocean. I thoroughly recommend spending the night at The Palm Resort, which we paid about $80 between us. Bargain. 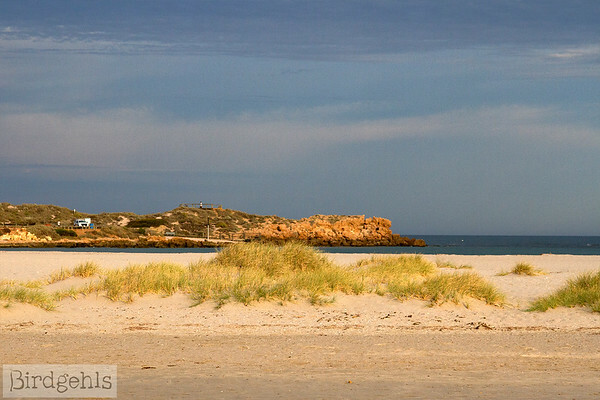 You can search other accommodation options in Kalbarri here. There’s a pink lake not far from the Principality. It’s a long trip from Perth to the Principality and you’ll probably want to break up the drive along the way. The Hutt Lagoon is around a forty minute drive from the Principality. 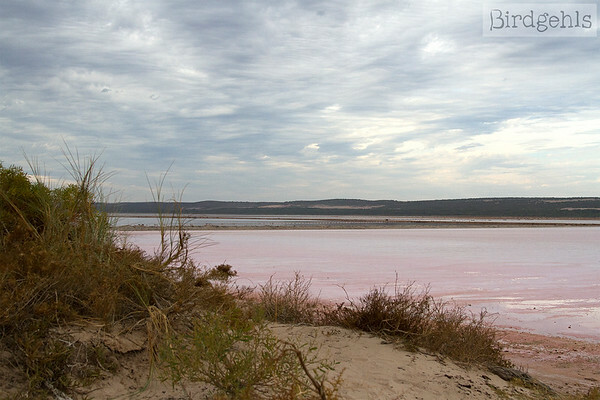 At certain times of the year, algae and the high salt content turn the lagoon pink, which is certainly something worth seeing. As a birdnerd, it broke my heart that we didn’t have time to stop here, but perhaps you can go in my stead. Rainbow Jungle is located just outside of Kalbarri and is where many endangered species of parrots are bred. There’s also an outdoor cinema and a giant maze to explore, which in my belief are always worth checking out. 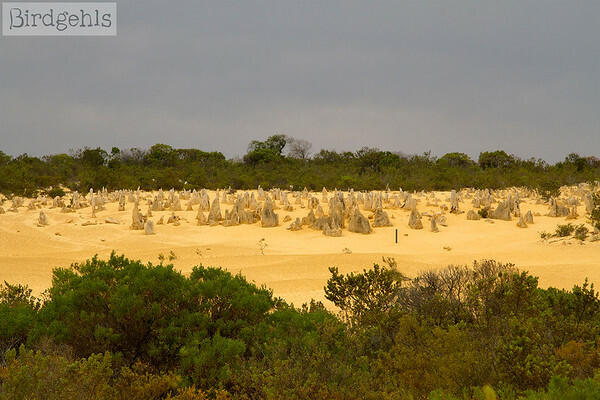 The Pinnacles are located around two and a half hours north of Perth. If you take the scenic tourist route from Perth, you’ll pass the entry point for The Pinnacles, 500,000 year old limestone stacks in the desert, not far from the WA coastline. It’s well worth stopping here to stretch your legs for an hour or so, particularly if you’re visiting on a weekday – you might just get most of the place to yourself! Do you have a taste for travel off the beaten track? Here are some other posts which may spike your interest. 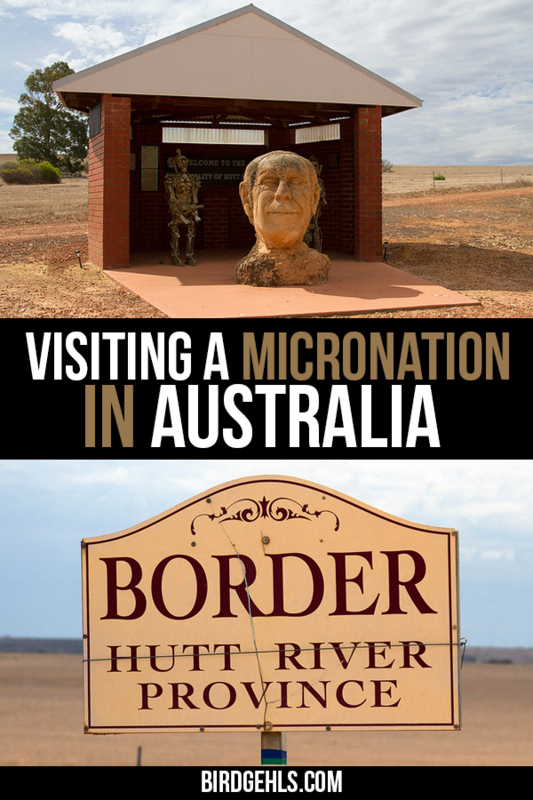 The Principality of Hutt River isn’t the only micronation in Australia. See a full list here. 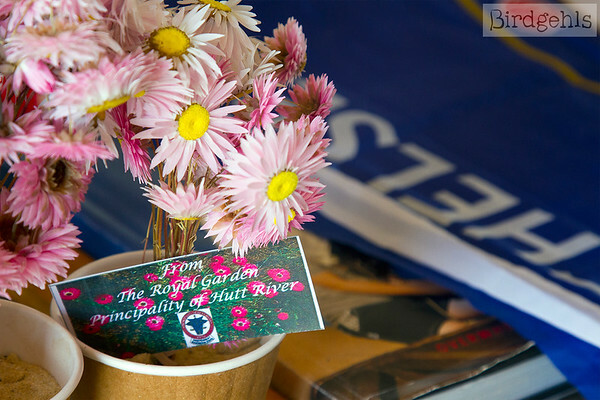 Have you visited the Principality of Hutt River? Would you? If you’re after more content like this, please sign up to my monthly newsletter or follow along on Facebook.